The initial public offering of 1.5 mln shares of Billboard issued in the company’s capital increase starts tomorrow and continues through Friday. The capital increase will be rendered successful if at least 1.2 mln shares are subscribed and paid. The price per share will be in the range between 5.5 and 7.5 leva, which means the maximum amount of cash the company may raise is 11.25 mln leva (5.752 mln euros), and the minimum is 8.25 mln leva (4.218 mln euros). It is interesting to have a look at the company’s plans in investing the IPO proceeds. According to the prospectus, Billboard will direct the funds to six main areas: to increase production capacity in wide format printing and in offset printing, in construction and maintenance of advertising facilities, in design and set up of integrated information systems for management in the filed of the printing and advertising business, in a project for the construction of a new printing factory, as well as in refinancing with the aim of optimizing costs of debt capital. As far as production capacity in wide format printing is concerned, Billboard plans to open a new printing factory in order to optimize the production value. In the next two years, the company plans to purchase 10 new machines and facilities worth some 3.547 mln leva according to preliminary data. 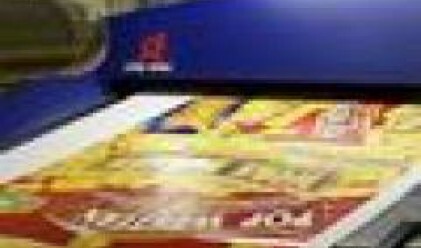 Billboard is already pouring considerable investments in increasing the production capacity of offset printing, and is planning on even greater funding in 2009. The total amount of capital to be invested in this area stands at about 3.640 mln leva, provided by the company itself and by leasing. 620,000 leva will be necessary for construction and maintenance of advertising facilities. These projects will be executed by subsidiaries Motion Arts and Instore Media. The plans include setting up billboards in the infrastructure of Metroreklama, as part of the opening of five new underground stations. 300,000 leva will be invested in design and set up of an integrated management system in the printing and advertising business. Projects in this area will be developed by subsidiary Nimisoft. The product will participate in the DRURA 2008 in Dusseldorf. The company plans to consolidate land plots covering a total of 50 decares, on which a new printing factory will be built. 250,000 leva has been allocated for the preliminary stage of this project, the total built-up area of the facility will be 28,000 sqm. Billboard also intends to partially refinance debts. 750,000 leva will be used in this direction (taking into account the minimum issue price per share is 3 leva). By October 17, Billboard has invested a total of 11.401 mln leva (5.830 mln euros), versus 11.245 mln leva (5.750 mln euros) by August 2007. The total amount of investments in 2006 came to 3.388 mln leva, against 6.449 mln leva in 2005, and 4.168 mln leva in 2004. The data is available in the company’s prospectus. Through the years, Billboard has been investing primarily in new machines and equipment.